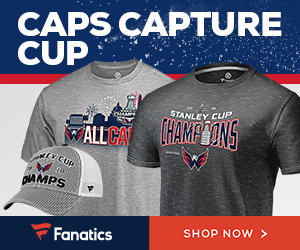 Thank you for your continued interest in Upper Deck’s “No Purchase Necessary” program. Upper Deck is pleased to announce that as of January 1, 2008, Upper Deck will be going to an online method of submitting entries. Upper Deck will no longer be accepting mail-in entries after December 1, 2007. To submit your entries beginning on January 1, 2008, please log on to npn.upperdeck.com. The letter was signed by “T.R.L.”, which I think are the initials of their N.P.N. Manager. Either that, or they want me to watch MTV’s “Total Request Live”. For those of you who are unfamiliar with Upper Deck’s “No Purchase Necessary” Program, it was a chance for you to get an insert card without making a purchase. For a chance to “win” an insert card (such as a jersey card, a rookie card, an autographed card, etc. 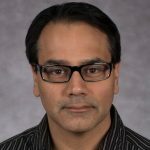 ), you would actually have to write out by hand–no photocopies or other reproductions–your name, address, daytime phone number and evening phone number on an index card, and then send that in a hand-addressed envelope. They would only allow you to enter once per day, meaning that they’d discard one of your entries if they received two from you on the same day (or so they say). When I first learned of the N.P.N. program in May of 2006, I would send an entry to Upper Deck every other day, in a vain attempt to win something. After 15 entries or so, I decided that it was a waste of stamps, and stopped. A month later, I got a 2005-06 Parkhurst autographed card. In the fall of 2006, I entered a few more times, just for the heck of it, but received nothing. A few weeks ago, I received an insert card from 2007-08 MVP. So, I guess they would keep all entries on file, and just pull from them every day or something. Either way, it seemed like a waste of stamps and energy–who wants to *write out* their information for a *chance* to win? Ugh! This new method sounds like it wouldn’t be much harder than sending an email or filling out an online form. I can deal with that. Of course, I don’t mind writing things out by hand–I send fan letters to hockey players, asking them to autograph a few cards, and I *always* handwrite those as they should be personal. Contest entries don’t need to be personal. Overall, I think this is good news. 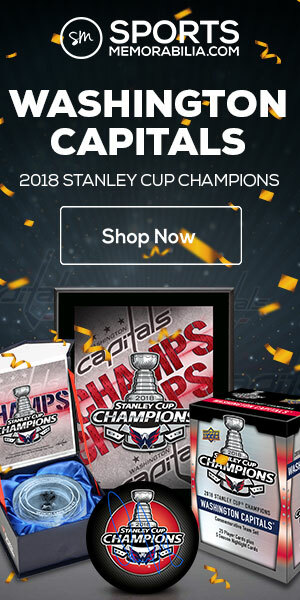 While Upper Deck still holds an unhealthy and unfair monopoly on the hockey card industry, it is great to see them take great strides forward in customer service–first with their redemption programs, and now with their N.P.N. programs. Now I’ll have a chance to win some insert cards without wasting stamps. McFarlane Toys has announced that they will release three hockey 2-packs that will be sold exclusively at Lowblaws stores in Canada. These will go on sale on December 26, 2007–a.k.a. “Boxing Day”. Since these are being sold only in Canada, they tend to focus on Canadian-based players, with the exception of Martin Brodeur–who has been the best goalie in the NHL for a while, as well as Team Canada’s goalie in the Olympics and such. 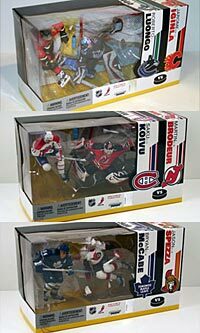 Brodeur has not been available since 2004, so this is a good chance for fans to get a figure of him now. You can see the full article on the Spawn.com website here. McFarlane Toys has added photos of NHL Series 17 to their website. Due out in January of ’08, Series 17 will give us figures of Evgeny Malkin, Jason Blake, Ryan Miller and a new pose of Alexander Ovheckin–all wearing the new RBK Edge Jerseys. Even more exciting is the inclusion of two more figures–Joe Sakic as a Quebec Nordique and Trevor Lindin wearing a retro Canucks uniform. And I don’t mean those weird “stick logo” jerseys–I mean the flying skate, baby! I guess McFarlane Toys has to do something with all of those “obsolete” figure molds. The tooling for an action figure costs toy companies a lot of money. So, companies try to re-use tooling as much as possible, hence repaints, goalies that use the same pose, etc. 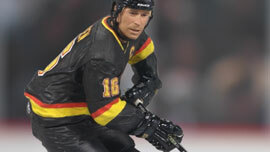 Hopefully, we can grow to expect more “retro” figures using the “old style” of jerseys. What are you waiting for? Check them out! 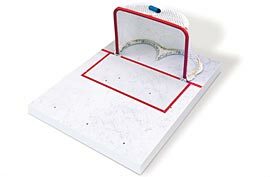 Taking a cue from their success of last year’s Hockey Rink Playset, McFarlane Toys will also issue a Hockey Goal display stand. This is much needed, considering that all new goalie figures no longer include a net. Half the time, the best thing about adding a goalie figure to your collection was getting a “free net” with it. This new display, however, will be a vast improvement, as it will have room for both a goalie and a shooter. Better yet, it will come in both Classic (pictured) and Modern designs. More about those here. McFarlane Toys has also announced the figures for NHL 19, NHL Legends 7 and NHL 3-inch Series Six. I won’t list them all here, but I think I speak for all of us in saying that it is awesome that they are making a figure of Guy Lafleur as a Nordique! You can read up on all this here–scroll about halfway down. 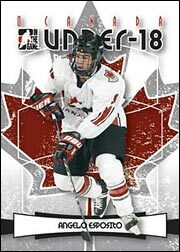 O Canada, the new hockey card set from In the Game, launches today. The focus of the set is on Canadian National Team players, as well as a few “formidable” International foes. It’s times like this that I really miss competition between hockey card companies. Right now, Upper Deck pretty much runs the show, since they have the exclusive rights to make NHL hockey cards. I admire what ITG has done without having an NHL license, with their sets focusing on international play, or “Heroes and Prospects”. But it seems that all the cards that ITG makes are so expensive, due to autograph and memorabilia inserts. And guess what? Upper Deck cards are expensive too. Well, the Victory cards are cheap, but not very exciting. I guess if I’m going to spend $80 on a box of hockey cards it’s going to be NHL hockey cards. But maybe I can pick up a base set of these O Canada cards on the cheap. Leave a comment on O Canada!